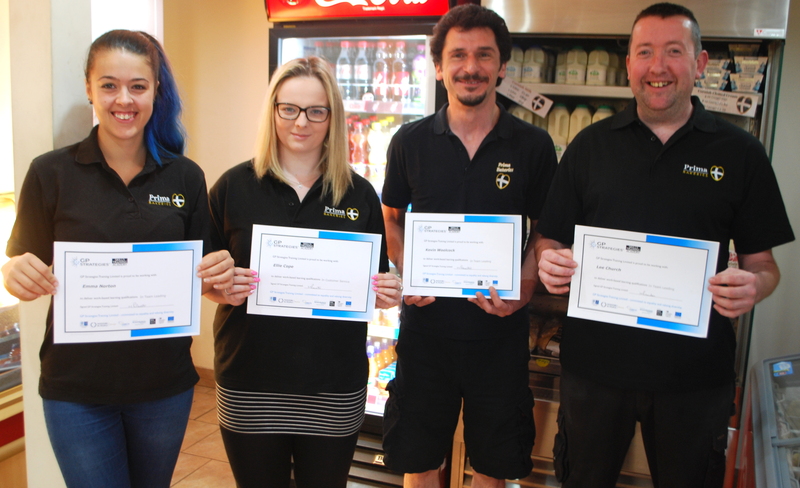 Four members of staff at Prima Bakeries have passed demanding training programmes, despite working through the company’s busiest season to date. October half term saw confirmation of passes with flying colours by Lee Church, Kevin Woolcock and Emma Norton on their year-long BTEC Level 2 in team leading. Ellie Cope also completed her BTEC Level 2 in customer service with well above average marks. This was all completed while Prima enjoyed its busiest 12 months ever. MD, Mark Norton, said: “We have seen record numbers in our Scorrier-based shop, pasties by post and wholesale deliveries. Now employing over 60 staff, Prima Bakeries has plans to further expand the bakery to keep up with the demand.